Thank you for taking the time to learn more about the upcoming election for Supervisor. My name is Joshua Arce. 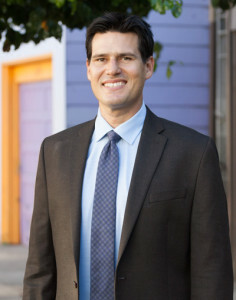 I am running to represent you on the San Francisco Board of Supervisors in District 9, which includes the Mission, Bernal Heights, the Portola, and St. Mary’s Park. I am running for Supervisor because City Hall has failed our neighborhoods. My wife Lisa, an immigration attorney, and I are raising our two young boys in a rent-controlled apartment on 24th Street and Harrison in the heart of the Mission. We have seen what a decade of disappointment and inaction from City hall has done to our neighborhood—rising rents, an increase in evictions, homeless residents suffering on our streets, a lack of trust between our police and communities of color, inadequate transportation options, far too many destructive fires, and a loss of our longtime businesses. I believe we have seen what the status quo can do, and we deserve better. By way of background, like so many of us, I am the product of immigrants from Mexico. Nearly twenty years ago, I moved to San Francisco to go law school and became a civil rights attorney fighting for tenants who were being evicted and victims of police brutality. I eventually founded my own non-profit, Brightline Defense, and worked to shut down San Francisco’s last remaining dirty power plant. I have served on the board of the city’s oldest and largest affordable housing non-profit making me the only candidate who actually has experience building affordable housing. Later, I went on to work with our local progressive leaders to write and pass the most successful local hiring program in the country, giving thousands of good paying construction jobs to local residents. I then had the opportunity to serve as the first Latino President of the San Francisco Commission on the Environment, passing measures to require solar panels on all new construction, ban coal from coming into our port, and increase urban agriculture. As a member of the San Francisco Democratic Party, I passed resolutions supporting gun control, San Francisco’s status as a sanctuary city, increasing affordable housing, community-based policing, and open source voting. If have the honor of serving you as your Supervisor, we are going to turn things around and shake up the status quo in City Hall. My number one priority will be to build housing that we all can afford after a decade of failed policies that led to no new affordable housing being built in District 9. I will also work protect tenants from eviction, get our homeless residents off of the street and into housing, increase public safety, expand our transportation network, make sure that pedestrians, cyclists, and drivers can get around our streets safely, and combat income inequality by ensuring that local residents and disadvantaged workers have access to the best jobs created in this booming economy. When you are deciding who you want to represent you in November, you have a choice between the status quo that has been running City Hall for years or a proven, progressive Democrat with a fresh outlook who can hit the ground running on day one. Our neighborhoods deserve a change, and I believe that with your help we can turn things around. I hope that you will join Lieutenant Governor Gavin Newsom, Democratic Party Chair John Burton, Board of Supervisors President London Breed, Firefighters, the Alice B. Toklas LGBT Democratic Club, Latinos Unidos, the District 9 Tenants Alliance, and hundreds of community leaders who are supporting my campaign. On November 8, I would be honored if you would vote Joshua Arce for Supervisor. Joshua is going to shake up the status quo in City Hall and deliver progressive solutions to our most challenging issues. Are you ready to join him?